A new season is upon us and we eagerly welcome the warmth and beauty that comes with Spring. There is nothing that lifts our spirits more than a fun-lovin’, Happy-Go-Lucky Gal who really knows how to coordinate a look. 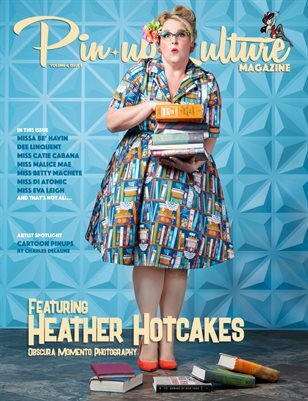 We are truly excited to introduce our readers to first-time cover model Heather Hotcakes along with this months artist feature on "Cartoon Pinups" by Charles Delaune.